So Wild Ramps are a delicacy here in WV. People all over make it an annual hobby and mark their calendars in spring to go “ramp hunting”. Wild Ramps are usually grown in the mountains. They are small and of the onion family but the pack a STRONG punch.. anyone who has partook of some ramps will have a hard time of hiding this fact to others long after the ramp is gone the evidence is still present. Not only by your breath but it actually can come out of the pores, according to how many ramps you consumed. Churches love to organize ramp dinners, there is even a ramp festival. 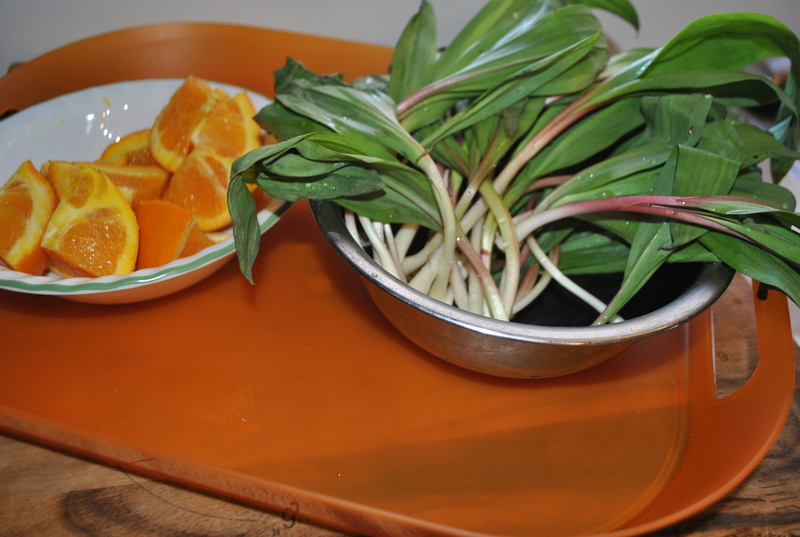 Ramps can be prepared many ways.. most people like to eat them raw with Brown Beans.. and fried with potatoes. Scrambled eggs and ramps are popular too.. as well as boiled, steamed or even put into a casserole or cornbread.. if you ask around folks will tell you many ways they use their ramps.. If your not into “digging” for your own ramps, most chances you can find a truck on the side of a country road selling ramps in these parts but not for long as they go fast.. Comment from Beth Johnston- My mother puts them in the dehydrator to use year round. She cuts the bulbs from the greens (bulbs take longer to dry). Then, once they are dried out, puts them in mason jars with a lid and ring for storage. She adds them to potatoes, chili, meatloaf, etc. Delicious way to have them anytime! Comment From Debbie Fann Young -I also cut them up and freeze them to use all year too….